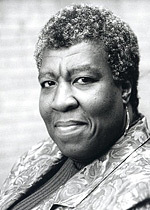 Octavia E. Butler (1947-2006) was a bestselling and award-winning author, considered one of the best science fiction writers of her generation. She received both the Hugo and Nebula awards, and in 1995 became the first author of science fiction to receive a MacArthur Fellowship. She was also awarded the prestigious PEN Lifetime Achievement Award in 2000. Her first novel, Patternmaster (1976), was praised both for its imaginative vision and for Butler's powerful prose, and spawned four prequels, beginning with Mind of My Mind (1977) and finishing with Clay's Ark (1984).